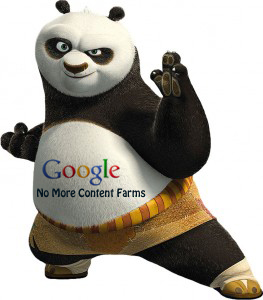 How is the Google Panda Update Affecting Lawyer Websites? Bounce Rate - As defined by Google, “bounce rate” is the percentage of single-page visits (i.e. visits in which the person left your site from the entrance page). Why is this bad? Because the searcher didn’t find what he or she was looking for and was not interested in your site. Pages/Visit - The more pages a visitor checks out, the more interested they should become. Google is looking for very natural indicators that your site is worthy of a good ranking in the search results. Think about this as you browse the Internet for a service or product. Time on Site - Unless your visitors are falling asleep at their computers, spending a lot of time on your site is a great thing. This means that they 1) are not “bouncing” and 2) are looking at multiple pages. That is unless you are smart enough to have video on your website, which means they could be there for an hour or more. Inbound links are still extremely important and we’ll talk more about that in the future. For now, focus on on-page optimization for your website. What does this mean in the new age of search? Content. But not good content…great content. If you have to write less content to make sure it’s interesting and satisfying search queries, then so be it. Of course, more lines in the water is a better way to catch a fish, but only if you have good bait! Okay, let’s talk about solutions and more specifically, how you can gain the edge over your competitors because of this change. You already know you need excellent content. You’ve known that for a while now and it just got more important. But how else can you keep people on your site longer? The answer is simpler than you might imagine. Video. Video accomplishes so many marketing goals. It engages your web visitors, builds trust by showing them your face and letting them hear your voice. Plus, it keeps them on your site longer. If you aren’t doing video, you need to be. In short, Google Panda is all about getting back to basics. You need to create an experience on your website that is enjoyable, informative and educational. Don’t expect results overnight. It just doesn’t work that way. If you stick to the program though, you can expect more and better traffic, which in turn will generate leads and clients.